Sena ET, A McComiskey, and G Feingold. 2016. "A long-term study of aerosol–cloud interactions and their radiative effect at the Southern Great Plains using ground-based measurements." Atmospheric Chemistry and Physics, 16(17), 10.5194/acp-16-11301-2016. The influence of aerosol on clouds, and its contribution to cloud radiative forcing, represents one of the largest uncertainties in climate studies. Higher aerosol concentrations are linked to more cloud condensation nuclei (CCN) and, with all else equal, smaller cloud drops and higher cloud albedo. However, aerosol and meteorological drivers are interconnected, and may result in mutually compensating effects and adjustments that are not fully understood. For example, smaller drops may suppress precipitation and increase cloudiness, but also enhance entrainment and evaporation, decreasing cloud amount. The direct radiative effect of absorbing aerosols in the vicinity of clouds could also modify the atmospheric temperature profile and stability, and reduce cloud amount. Therefore, cloud microphysical variations do not necessarily manifest as changes in cloud albedo and radiative forcing. In recent years, interest has grown in the influence of meteorology on aerosol-cloud interaction assessments. However, untangling the cloud microphysical effects from dynamics and isolating their contributions to the radiative balance remains a major challenge. In this study a new approach to assessing aerosol effects on shallow, liquid clouds is proposed. Previous studies have typically relied on empirical estimates of the microphysical response of cloud droplet size distribution to aerosol perturbations in order to constrain aerosol-cloud interactions in climate models. Instead of quantifying the usual metrics for microphysical response to an aerosol perturbation, we focus on analysis of aerosol associations with cloud macroscopic variables and radiative properties of shallow liquid water clouds. These quantities are more closely related to the cloud radiative effect and therefore represent a pragmatic pathway towards quantification. 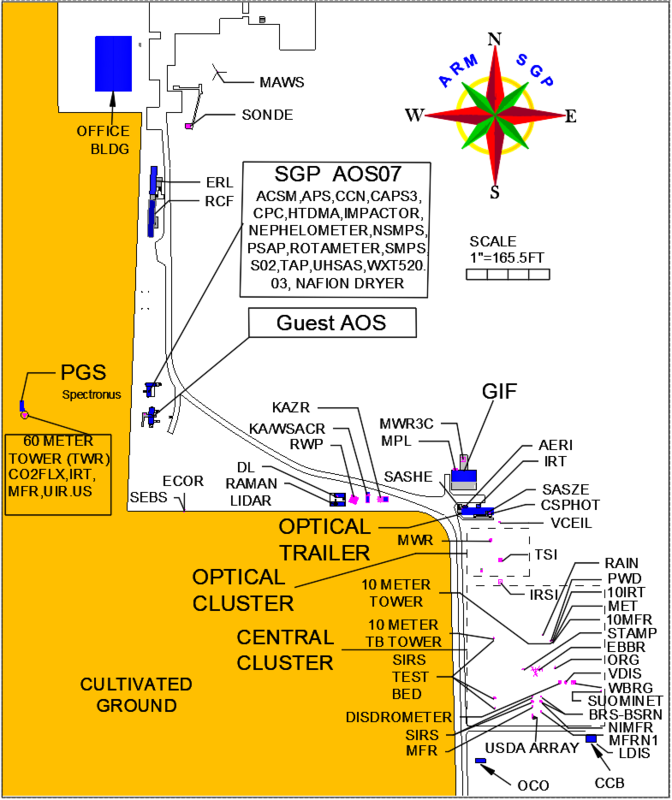 Long-term, ground-based observations from the Atmospheric Radiation Measurement (ARM) Research Facility were analyzed to investigate the coincident effects of aerosol, macroscale cloud properties, and selected meteorological indices on clouds at ARM's Southern Great Plains (SGP) observatory in Oklahoma, USA. Large statistics were used to better understand the relative effects of aerosol and meteorological drivers on the radiative effect of low-level, continental clouds. The impact of variations in different physical properties on the instantaneous cloud radiative effect was evaluated. Case studies representing conflicting results regarding the relationship between the aerosol and the cloud radiative effect were selected and analyzed in greater detail. Microphysical estimates are shown to be highly uncertain and to depend strongly on the methodology, retrieval technique used to estimate droplet radius, and averaging scale. For this site, the results indicate that over the 14-year analysis period the influence of the aerosol on the shallow cloud radiative effect and albedo is weak and that macroscopic cloud properties and thermodynamic parameters such as lower tropospheric stability and boundary-layer coupling play a much larger role in determining the instantaneous cloud radiative effect compared to microphysical effects. On a daily basis, aerosol shows no correlation with cloud radiative properties, whereas the liquid water path shows a clear positive relationship. Relative cloud radiative effect (rCRE) as a function of liquid water path colored by a) aerosol index, b) cloud optical depth, c) turbulence index (w'2), d) decoupling index, e) cloud fraction, and f) lower tropospheric stability.